Great TV characters never truly go away. Sure, their shows may eventually be cancelled but we get to see them via reruns, DVDs, and maybe even an occasional reunion. If we’re lucky, they might even pop up in an unexpected place or two — like The Price is Right and The Late Late Show with Craig Ferguson. The Drew Carey Show ran from 1995 until 2004. The sitcom centers around a nice guy (Drew Carey) who works in the human resources department of a multinational department store. His boss is Mr. Wick (Craig Ferguson), a nasty man with a loathsome secretary named Mimi Bobeck (Kathy Kinney) — an overweight woman who wears too much makeup. Other characters are played by Ryan Stiles, Diedrich Bader, Christa Miller, John Carroll Lynch, Cynthia Watros, Ian Gomez, and Nan Martin. Would you like to see a full Drew Carey Show reunion? Maybe. Depends how it's done. The show’s comic performers are all very talented but the series’ most memorable persona is certainly Kinney’s egocentric Mimi. Interestingly, the character was intended to only appear in the pilot episode but the audience’s reaction was so positive that she became a regular. The show’s last original episode aired five years ago but apparently Mimi is still alive and well and living in TV land. On March 24th, she popped up on The Late Late Show with Craig Ferguson to silently menace the host during the show’s opening. 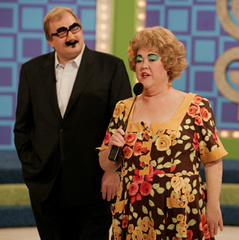 Yesterday, she appeared on The Price Is Right’s special April Fool’s Day episode. Hosted by Carey, the game show was chock full of corny jokes, sound effects and sight gags. Mimi takes her place with the rest of the glamorous models and is first seen presenting a new car — one that’s had its tires removed and is resting on cement blocks. Though you may not have seen Kinney in new roles on television lately, she’s been working on a new Internet project. She’s playing “Mrs. P”, a friendly storyteller who encourages children to read via the web. She’s the co-president of the company, along with Drew Carey executive producer/writer Clay Graham and marketer Dana Plautz. Visit MrsP.com for more. The Golden Girls: Please! Give Betty White a Break! The Late Late Show with Craig Ferguson: Host Plans to Leave? The Price is Right: What Does Bob Barker Think of New Host Drew Carey? OMG a reunion would be so cool! I have listened to Guiding Light on radio sitting beside my mother and watched it on TV with her. When there was a sad story I’d put my arms arround her, WHAT MEMORIES. Now it is my turn to cry and she is not here to put her arms arround me. It feels like I’ve lost a child, I am so hurt over the loss of Guiding Light. 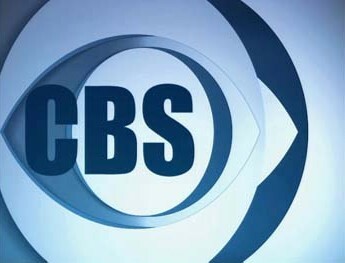 I refuse to purchase P&G products, plus I will not watch CBS until Guiding Light returns. I AM HURT AND ANGRY. DID THEY SURVEY CANADA? I’m guessing less to do with infringement and more with having to pay her more if she spoke. Lovely! But, why couldn’t she talk? If she acts like her aggressive Mimi character, would that infringe some kind of copywright or something?